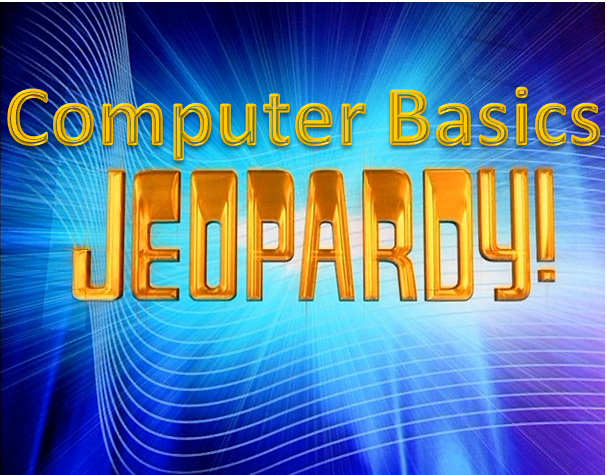 Test your knowledge of Computer Basics! Compete against your classmates in teams to answer questions about basic computers. The substitute teacher will divide you into teams. Your team will elect a team captain. Only the team captain can raise his/her hand to answer questions for your team. You must work together to figure out the answer as quickly as possible without the other team hearing you (you may wish to use scrap paper to communicate answers to the members in your team instead of talking outloud.). The substitute teacher will click on the link below to open the Jeopardy game in a separate window. He/she will facilitate the game and manipulate the Promethean Board throughout today's class. The first team captain to raise a hand will be able to offer an answer. Remember this game is not only about speed; you must provide a correct answer to earn points for your team. Play the Jeopardy game below following the same rules as above! 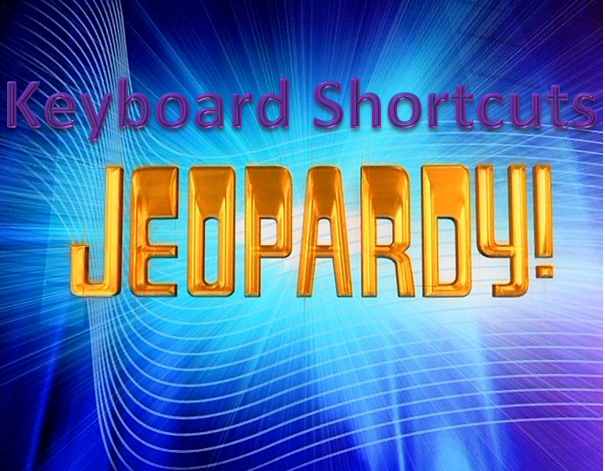 Test your knowledge of Windows-based keyboard shortcut keys!